When Koda the husky pup broke loose from his Manitoba, Ontario home in Canada, her Mom, Rachel Howatt, was definitely worried. She spent days looking for a sign of the pup around the wooded area nearby to her house, but couldn’t find her. It was a chilly December, but the pup would be kept warm by her coat, and Howatt knew she was more than smart enough to find her way home. Of course, that didn’t stop the anxiety, and the family continued to look. Then, a few days after that, she came home – just like that. Naturally, Howatt couldn’t help wondering where Koda had run off to. 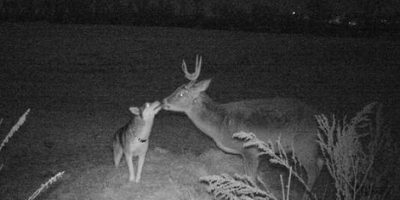 She soon thought of an idea – she could ask her neighbor, who has a handy trail camera installed in the nearby forest. Footage revealed something very surprising! Koda had been caught on camera wandering around in the forest trail, but she wasn’t adventuring on her own. 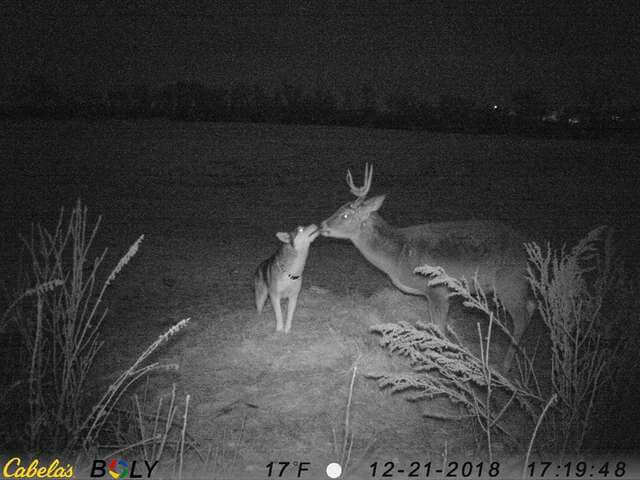 By her side was a big buck – a male deer. But they weren’t just grudging acquaintances. The pair napped with each other, cuddled together, ate side by side, and even played. 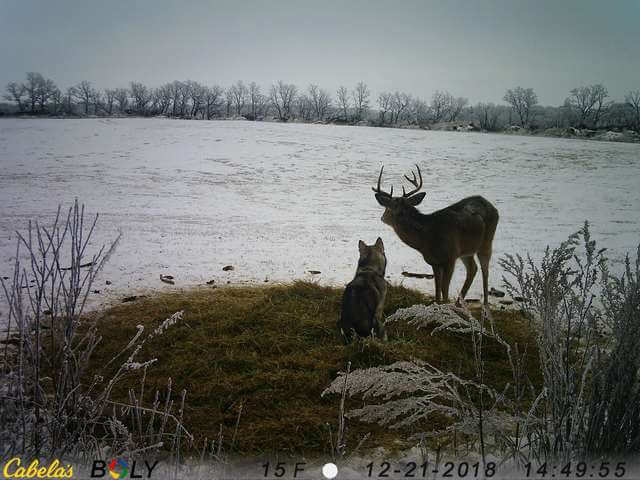 Time stamps reveal that Koda and this buck had likely hung out more than half a day. 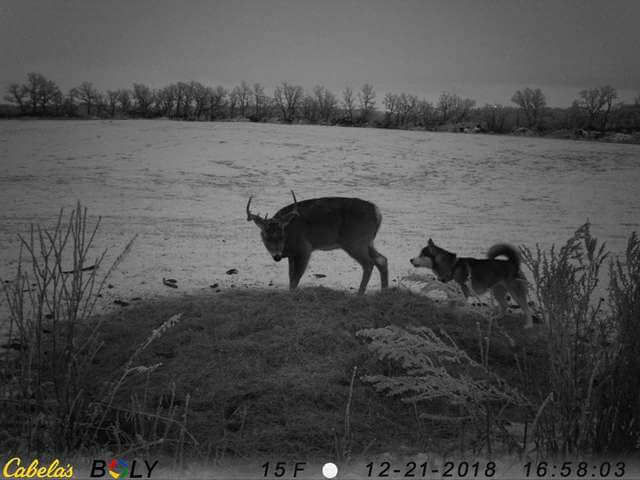 Other images show Koda hanging out with more than one deer, upping her total companion level to two. 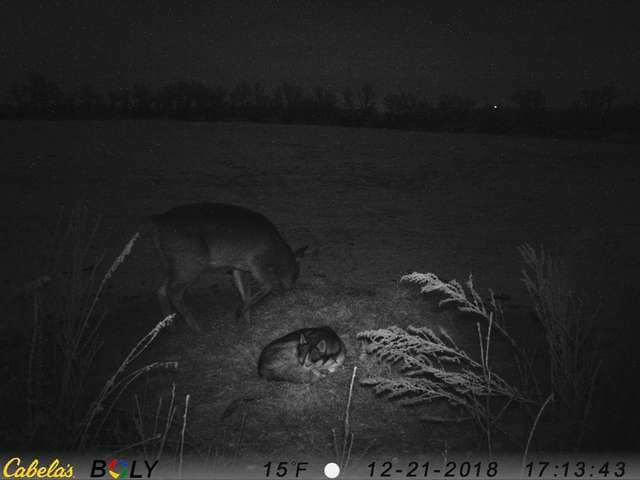 This isn’t completely unheard of, as wild deer often befriend animals they meet, but it was still surprising to see Koda cosying up with these mammals! Howatt is taking extra steps to keep Koda safe and to stop her from escaping once more, but she’s pretty sure that Koda will still attempt it, just to see the new buck friends she made. With her free spirit and friendliness, she’s always looking to chill with new buddies! Adorable Pup Having A Lovely Time At The Park Sees His Parents Petting Another Pup!